We are proud to offer an expertly designed range of front doors at competitive prices in the Malvern area. All of our front doors are designed and installed by trusted, industry experienced individuals. By choosing Malvern Glass Home Improvements you’ll not only receive a friendly and effective team to fit your door, but the very best range of front doors the market has to offer. We are members of The Independent Network, which is organised by the VEKA group. This means that all of our doors, from their materials to their designs, have been tried and tested by top quality experts. When you choose to work with us, you are guaranteed to have exceptional standards delivered to you in our services and our products. Check out our testimonials to see what customers have had to say. All of our front doors are made with the homeowner’s comfort and security in mind. A front door is an investment to a long and happy home life. As such, we do our utmost to provide doors that are hard-wearing, energy efficient, and long-lasting. We provide market-leading front doors designs with our uPVC doors and our composite doors. Both utilise profiles created by VEKA, who are upheld as the benchmark for uPVC designs and versatile products. We also offer bespoke timber doors, stable doors, and StyleLine doors, perfect for homeowners looking to give their home a traditional or modern flare. If you want to give your home a personal touch, all models of our front door are fully customisable in a large number of ways. You will have a wide selection of colour and wood finishes available to you, as well as a range of customisable accessories such as numerals, letters, door knockers and letter boxes. We offer double glazing options for our front doors, as well as several glass pattern designs for added privacy and style. We also allow for any threshold adjustments that might be needed for wheelchair or pushchair users, making your home a welcome space for all. No matter your selection, we want to ensure all of our customers are happy, comfortable, and safe behind our front doors. To make sure this is the case, all of our front doors provide exceptional thermal efficiency across the board. In addition, all of our front doors meet PAS42 standards and Secure by Design accreditations. Whether you’re looking for a door made of uPVC or timber, we can assure you that your needs will be met without compromising on warmth of security. There are many reasons why a homeowner would want a new front door. Whatever the reason, we want the installation process to be as smooth and efficient as possible. We want to give you a product that this the best for you, delivered with the best service for you. Being a member of The Independent Network means that Malvern Glass has met the top quality standards set by VEKA. Not only does this mean that we are given the most innovative front door designs by a market-leading manufacturer, but that our fitting team has the skills, training, and experience to fit all our front doors with minimal stress to you. We will fit your door exactly how you want it, with no hassle required. Our expert team will be with you every step of the way, from quotes and queries, to customisation and installation. Once you have your ideal door in mind, we will provide you with a front door service unrivaled in the Malvern area. Look at the testimonials on our website for further proof of our outstanding service. 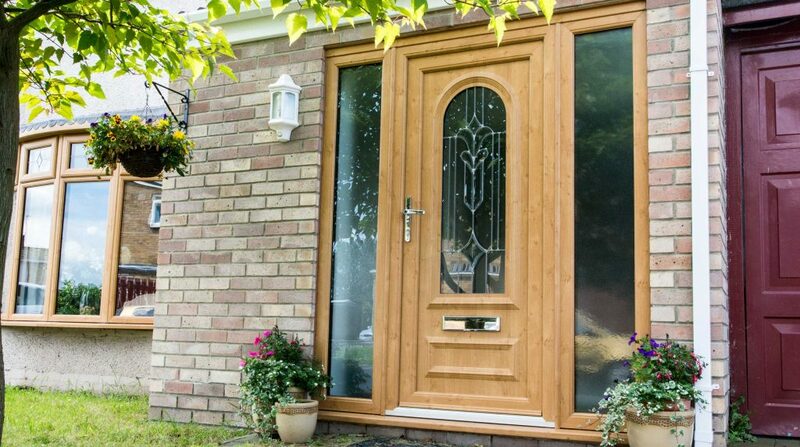 We do everything to ensure that all of our customers are given the best front doors at the best competitive prices. We believe everyone should have the opportunity to have a stunning front door, so we’ve done our best to create a selection of front doors that appeal to every type of budget. Visit our online quoting engine to get yourself an accurate price estimate. With a click of a button, you will receive a free and honest quote specialised to your front door needs. It is a simple step by step process, saving you time in the short term and money in the long term. You can also contact us via our online contact form, should you have any further questions about our front doors. A member of our experienced team will be able to help you in a quick, effective, and incredibly friendly manner, so that you can take that first step with great peace of mind.